WILMINGTON, Del. (Bloomberg) -- Visteon Corp. shareholders lost their bid for an investigation of whether managers are wrongly proposing to cancel the company's stock as part of a plan for the auto-parts maker to exit bankruptcy. U.S. Bankruptcy Court Judge Christopher Sontchi in Wilmington, Del., on Wednesday denied a request by shareholders, including hedge-fund manager Davidson Kempner Institutional Partners LP, to appoint an examiner to investigate how company managers put together their reorganization proposal. The shareholders contend Visteon is solvent and its stock shouldn't be canceled. That claim should be resolved when the reorganization plan comes to court for approval, Sontchi said. It was the third court loss of the day for Visteon shareholders. Earlier, Sontchi denied a request by shareholders Cypress Management Master LP, Lenado Capital Advisors LLC and Goshawk Capital Corp. for an official committee to represent their interests. 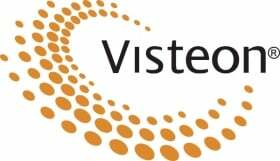 Had Sontchi appointed the panel, the shareholders' attorneys and financial advisers would have been paid by Visteon. Sontchi also rejected a shareholder motion to end the company's exclusive right to propose a reorganization plan. Shareholders can't pursue their own proposal in court until the company's exclusivity rights end. Shareholders argue that Visteon is solvent and can pay all its debts, pointing to the prices being paid for the company's bonds and existing stock. “Frankly I view this as a valuation of a $2 billion company done on the back of a cocktail napkin,” Sontchi said. One group of shareholders wants to try to raise money to pay lenders owed $1.63 billion and reinstate the company's bond debt, attorney Martin J. Bienenstock said in court. Bienenstock represents a group of investors who own about 12 percent of Visteon's stock, including Davidson Kempner. After the hearing, Bienenstock said shareholders will try to show at a court hearing scheduled for May 24 that the management plan is so flawed it should immediately be rejected. Kennedy testified that the prices of Visteon's bonds and stock show that the company is solvent. The company's value is also boosted by Visteon's 70 percent stake in the South Korean parts maker Halla Climate Control Corp., Kennedy said. The company, which was spun off from Ford Motor Co. in 2000, filed for bankruptcy in May 2009, listing assets of $4.58 billion and debt of $5.32 billion in Chapter 11 documents. Management's plan would raise $1.25 billion from bondholders under a new stock offering. If bondholders fail to raise the cash needed for that deal, lenders would get 85 percent of the new stock in exchange for canceling what they are owed. The rest of the stock would go to the bondholders. Under both options, shareholders would get nothing back.